Ever since I can remember watching basketball over dinner has been a family tradition, and one which we all look forward to. Another family tradition, although one shared strictly between my father, brother, and myself, has been a healthy passion for gambling. It’s only natural that I should have stumbled across Basketbull, then – as one of the eighty plus featured slot games at Silver Oaks Casino, it combines both these interests, and the iconic ‘bull’ seems to echo a familiar basketball mascot. I really enjoyed this game for a couple of reasons. First, I really enjoy sports – specifically, basketball. So I was a little dubious when I saw a basketball themed slot game, as I’ve played more than a few sports oriented games at other casinos and been disappointed. Some casinos slap pictures of basketballs on their machines and market it accordingly, without really infusing the play and feel of the game. Thankfully, Basketbull balances both of its elements accordingly. On one hand it’s a stand-up 5 reel slot game, replete with 25 paylines and a number of bonuses. On the other, it’s somehow captured the back and forth momentum of an actual basketball game, and each spin burns with the same tense edge of a lob shot hurled from mid-court. The bonuses are another thing that really drew me in. Slot games in every online casino usually try to vary the type of bonuses they use, so that a certain sense of novelty is maintained. The Scatter Symbol, recognized as a basketball, is one of the main bonus features, often opening up the possibility for Free Throws which will give you additional spins. The Free Throws are activated when three or more of the scattered symbols appear in a single spin, and in turn give three free spins. Additionally, if only two Scatter Symbols appear, you can win 1X your bet. 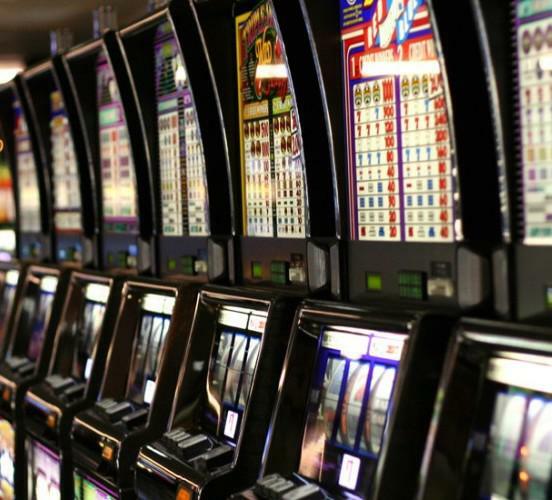 You can always tell whether or not a slot game is worth your time by what sorts of Jackpots are available, and how often they’re expected to appear. Jackpots differ from Bonuses primarily in terms of the amount of money that can be won – with Basketbull there are a number of random jackpots which appear at the end of the game, and can range from $100 (minor) to $1000 (major). You have to appreciate a slot game that tries (and succeeds) to incorporate some facet of the national sport into its gestalt. Athough Silver Oak Casino has a very convenient, and with other games, quite useful application, to allow for Autoplay, with Basketbull you’ll want to be clicking the mouse on your own. There’s something, a certain je ne sais quoi, when you’re able to win a spin of your own accord. Especially if you have the fortitude to play all 25 paylines – at which point you’re eligible for a Win-Win feature that gives even more bonuses if the amount won after a Free Throw is 10X less than the initial bet. There’s a lot of bonuses, let’s just leave it at that. Strap your sneakers on.